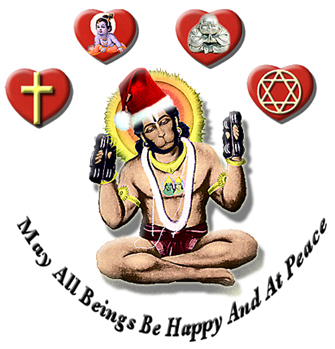 Our friends at Bhaktiware www.bhaktiware.com, a wonderful and conscious clothing company that sponsors our tour sent this image over. Cool, huh! Happy Hanukah, Blessed Winter Solstice, Merry Christmas and a Joyful New Year. 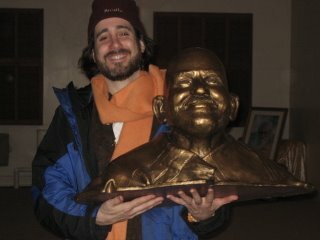 We finished the 2006 Kirtan Trail with a blissfull evening at the Integral Yoga Institute in NYC. 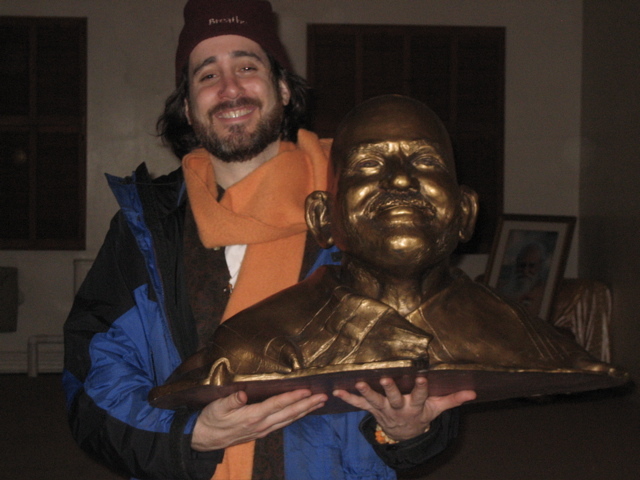 The Masters were indeed shining upon us for it was Swami Satchidananda's Jayanti (birthday) and that night I received a beautiful Murti (sacred statue) of my Sat Guru Neem Karoli Baba - who I am carrying from our first Kirtan together! 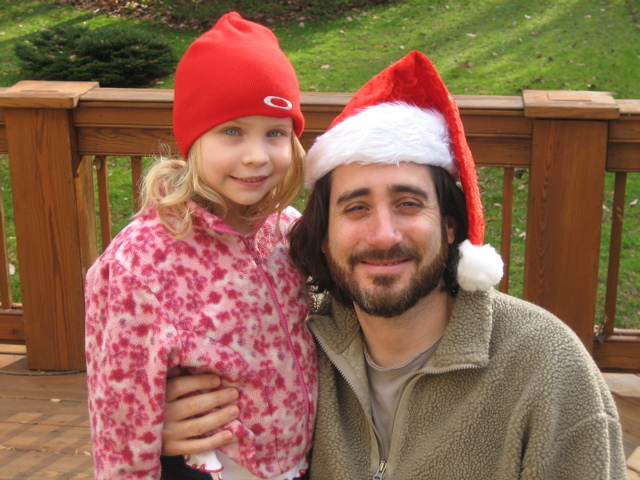 And from me, Mira and my sweet Goddaughter Isabella (with me in the photo). May the Universe shower you all with many Gifts of Wisdom and Love in 2007. Me, Mira and Bhagavan Das out to dinner celebrating Mira's Birthday - December 5th in Philadelphia! 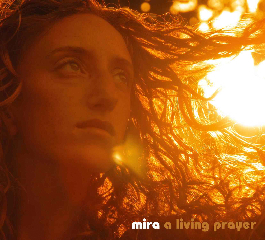 MIRA just released her first CD...A Living Prayer. 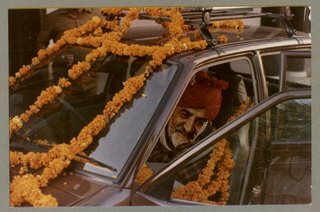 It is truly a beautiful compilation of kirtan, Indian devotional music, and spiritual folk songs. Her voice is complimented by gorgeous acoustic instrumentation, and some of the songs feature myself and Bhagavan Das. It is produced by Mira and Philippo Franchini and mixed by Frank Wolf. I know you will be deeply inspired by it. Enjoy!!! 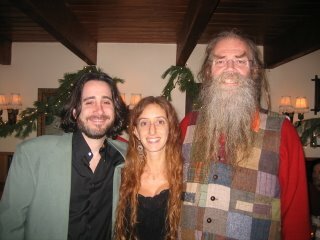 You can visit her website www.sacredcymbals.com to hear clips and purchase A Living Prayer! 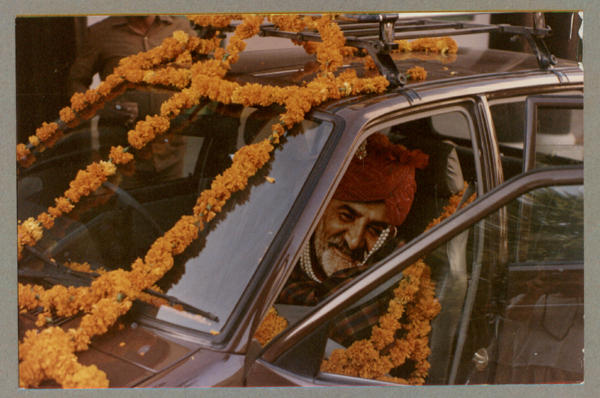 It was Neem Karoli Baba's Birthday on Tuesday, November 28th! May HE live forever in our hearts!